Our Beef herd consists of about 30 cows with calfs and two Simmental bulls, Nicey and Wallaby. 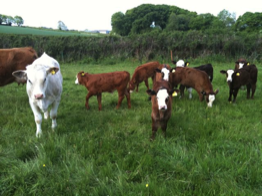 A group of replacement heifers and a youngster group of animals aged between 9 and 30 months. 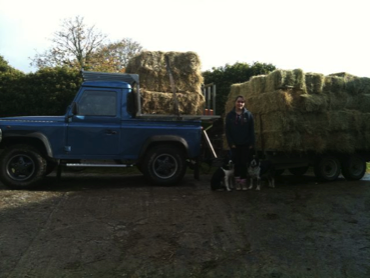 Home grown small bale hay and round wrapped haylage bales, delivered to our customers or collected if preferred. We have a small DIY Livery yard, our residents have their own grazing, stable, tackroom. Every year we buy a small number of piglets to rear outdoors, they are great little characters, and we are starting to build up a small flock of suffolk x sheep, we started with a couple orphan lambs that were bottle fed.